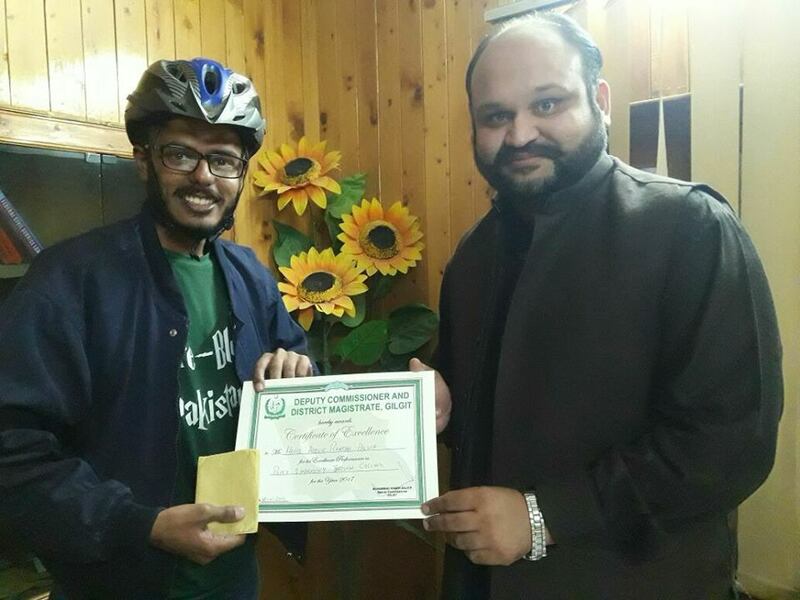 Abdur Rehman Palwa had the passion of travelling on bicycle across Pakistan, his passion soon turned into mission when he decided to target the Guinness Book of World Record. We all stumble and fall before we learn to walk, same happened to Abdur Rehman. His first attempt at breaking the world record was on a motorbike. Things didn’t go his way as he couldn’t complete his first challenge. Instead of being disappointed, he took his failure as inspiration to go again. 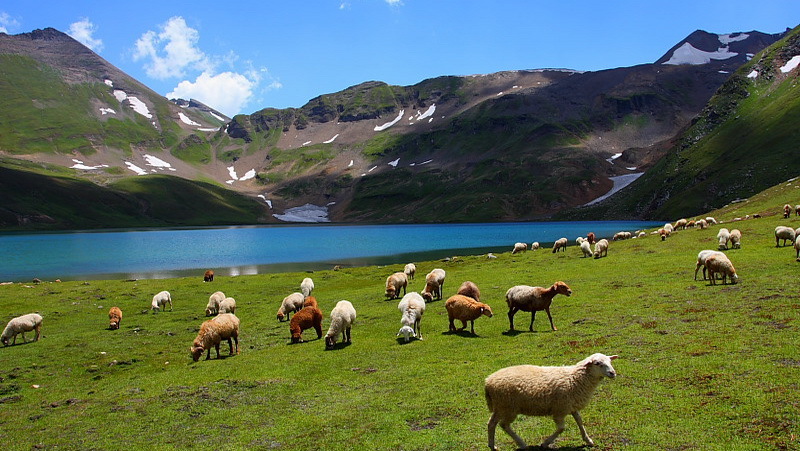 Initially it seemed something difficult for me… to cross Deosai Plains on a bicycle but my self-motivation kept me motivated. Abdur Rehman’s journey started a month back, he has 100 days to break the current record. Current record stands at 15,200 kilometers in 100 days, while Rehman aims to touch 16,000 kilometers. He already has broken a record on his way as he became the first Pakistani to cross Deosai Planes on a bicycle on 12th November. Abdur Rehman receiving certificate of excellence. Abdur Rehman Palwa has been awarded certificate of excellence for promoting peace and harmony by Deputy Commissioner and District Magistrate Gilgit. Riding bicycle at an altitude of 15000 feet, try scoring that one. He has traveled 2500 kilometers so far, there is still a long way to go, but where there is a will there is a way. We wish him best of luck in his feat of going for something that seems impossible to most but not him. Maloom Ye Karna Hai Aise Pakistanio Ko JOB Nahi Karte Ya JOB Se Leave Lete Hai World Records K LIye :? They search for sponsor and luckily got some.